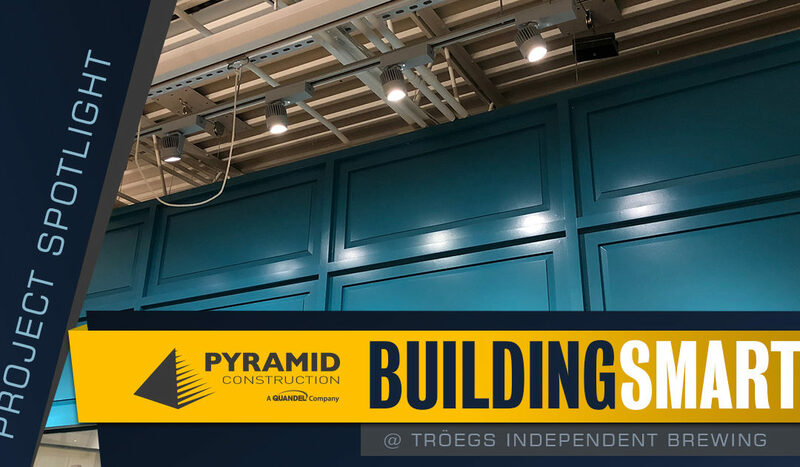 BUILDING SMART at Tröegs - Pyramid Construction Services, Inc.
Pyramid Construction takes on all challenges when they arise on a project. We rely on the ingenuity of our staff to identify problems and above all find solutions. Tröegs Independent Brewing asked us to create a new event space for their patrons. 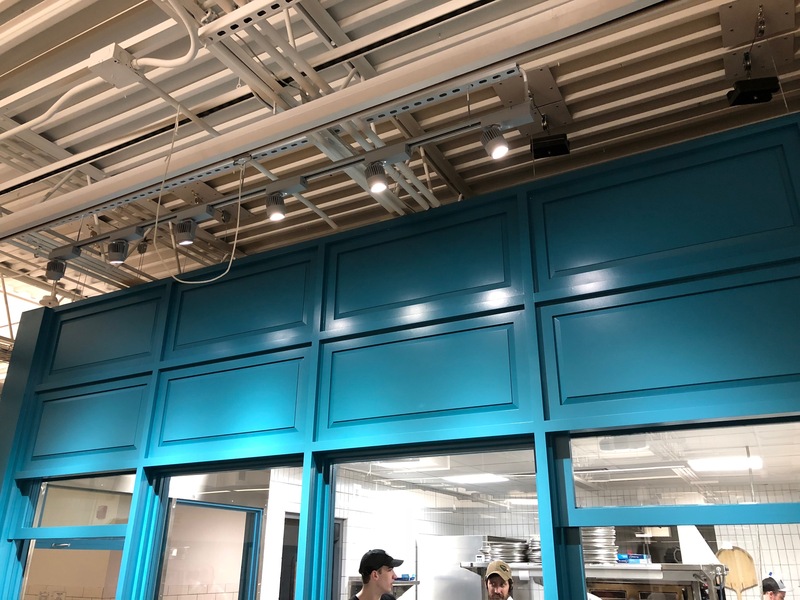 The renovation included a custom centerpiece bar and an additional food service station. 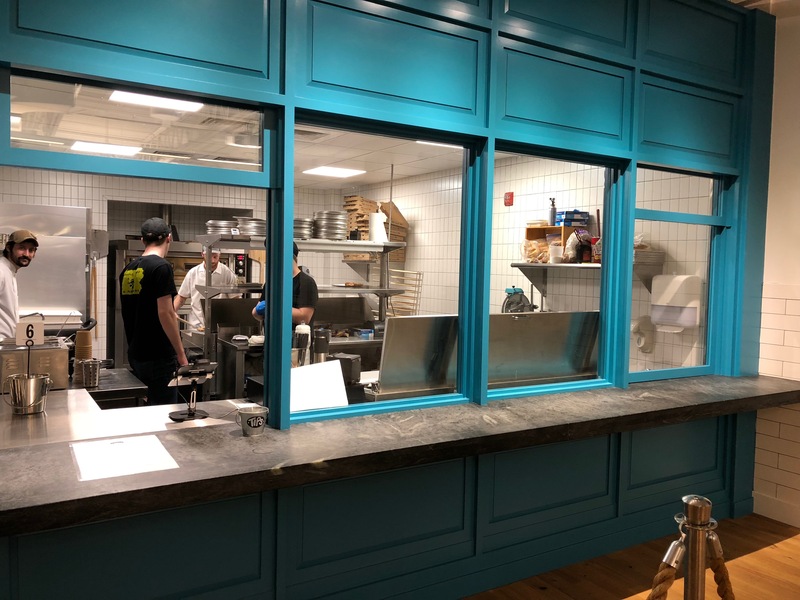 The food counter features an open design, allowing patrons a view into the kitchen. Custom sash windows slide up to take orders and close to reduce kitchen noise. Problems arose during installation of the windows. The weight proved too heavy for easy lifting. Superintendent John Witter devised a system of pulleys to help with the load. His creative solution worked and did not interfere with the room’s design. Pyramid staff is committed to finding solutions and making each project a success for our clients. Learn more about Pyramid’s work at Tröegs.